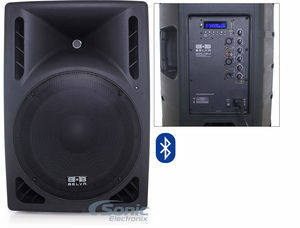 These Professional DJ Speakers are the complete package for a person looking for high quality and versatility. 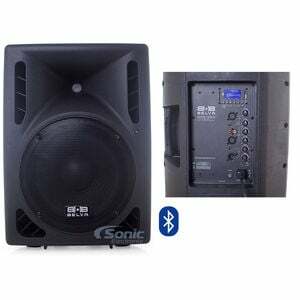 With an integrated amplifier, XLR, Line and RCA inputs, these speakers are the complete affordable package for any party. When it's time to celebrate, you can take these speakers anywhere you need to be and be confident in the quality. The speakers are designed to pick up transients accurately and reproduce low frequencies down to 52Hz. When it's time to celebrate, the BDRS-12P will provide everything you need! Thanks to the Class-D Amplifier Technology in these speakers, you can play these loud for extended periods of time without worrying about the speakers overheating. Class-D is a highly efficient circuit that doesn't cause cause waste through heat dispersion. The circuitry also reacts to transients faster and with near-zero distortion than other circuitry, perfect for reproducing percussion. 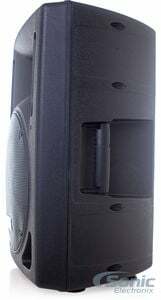 The back of the speakers have XLR, Line and RCA inputs with gain and EQ controls to connect a mixer or other audio devices. For the professional, connecting your gear is easy so you can focus on what's really important; the music! 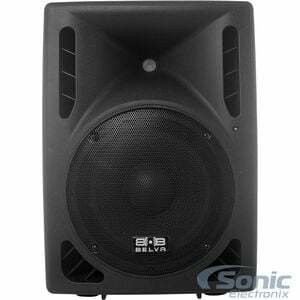 12" Belva BDRS-12BLU with Bluetooth pairing also available! 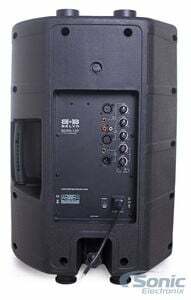 This is the type of professional loudspeaker. Active loudspeakers have a built-in amplifier to power the speakers. Passive loudspeakers require an external amplifier to be properly powered. This is the size of the high frequency driver. Common sizes include 1", 1-1/2" and 2". This is the size of the low frequency driver. Common sizes include 10", 12", and 15". This is the peak power output that the active loudspeakers is rated at. 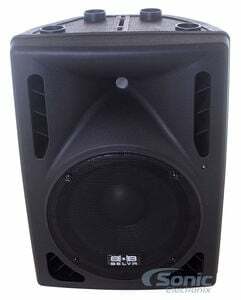 This is the continuous power output that the active loudspeakers is rated at. This is the class of amplifier inside the active loudspeaker. These are the different types of controls, adjustments, and dials that are on the active loudspeaker. If the active loudspeaker has an internal equalizer it will be identified here. These are the types of input connections that connect to the professional loudspeaker. 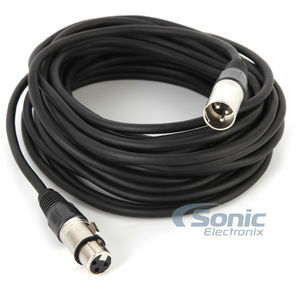 These are the types of output connections that connect to the professional loudspeaker. 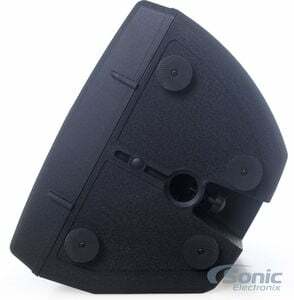 Carrying handles are found on the enclosure and they make transporting the speaker easier. 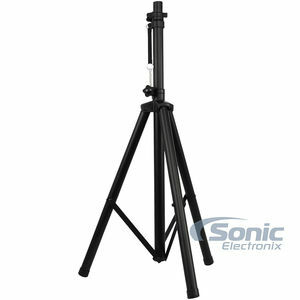 Speaker mounts enable the loudspeaker to be mounted to a stand or tripod. The height of the item, measured from top to bottom, in inches. The width of the item from left to right (side-to-side) measured in inches. The front-to-rear depth of the item, in inches. If the item is angled or slanted, this value is the bottom measurement. 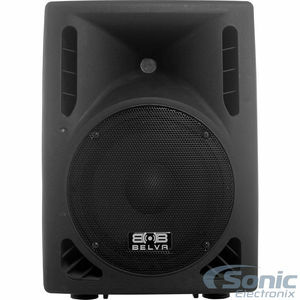 I purchased the BDRS-12P for use in the DJ Hard Live Concerts as monitors. 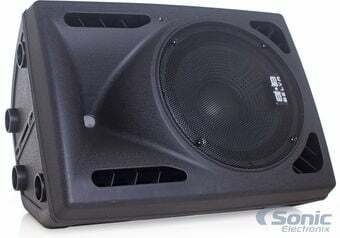 If you need a good looking light weight loud speaker system, BDRS-12P is a nice choice. In my applications, I get the best results when I turn the volume half way up because the built in app has plenty of headroom. At this setting, you can adjust the bass and treble to your taste with low distortion giving you a loud & clear sound. The only drawback I found was when there is no signal running through the system; the app produces some noise. 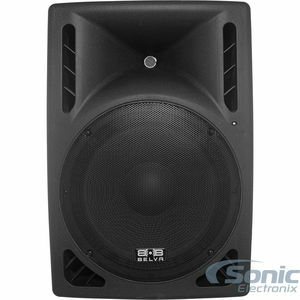 For the price, I recommend the BDRS-12P because it is a great addition to my live PA system.